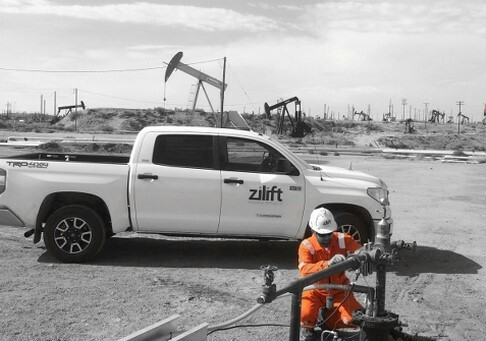 ZiLift has developed a novel artificial lift system to replace the more conventional reciprocating pump or “nodding donkey”. 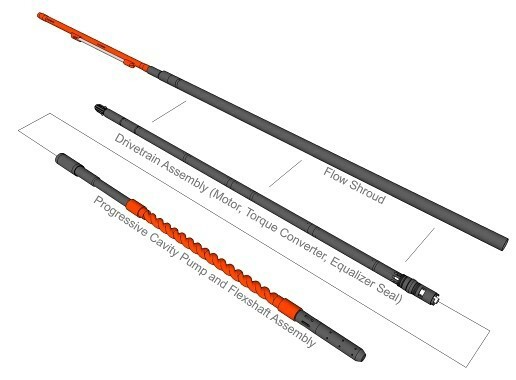 The ZiLift system comprises a progressive cavity pump, an electric motor and a torque converter, or magnetic gear, all within a 3 inch (75mm) tube. As with all magnetic gears there is a point where the gear is overloaded and slips but without causing any damage. The feature is known as a torque fuse or overload protection. The whole assembly is lowered into the oil well, often around bends (known as deviations) in the well that make life for the reciprocating shaft of a nodding donkey very difficult indeed. Once in the well ZiLift’s Torque Drive can be operated very precisely. With integrated real time performance data, embedded automation takes care of matching the pump performance to changing reservoir conditions. The continuous pumping motion eliminates cyclic pressure pulses on the formation and reduces damage to the well bore that can lead to sand influx or reduced productivity. Should the pump become clogged with sand and seize the inherent torque fuse of the magnetic gear prevents damage to the other drive train components. There follows some control intervention to cycle the pump, clear the blockage and continue operation. A Torque Drive system has been installed in a highly deviated and slim-bore well in California and has recently passed 550 days operation. This is a significant milestone, the reciprocating rod pump it replaced was lasting less than 30 days. The unit is operating deeper than 1000ft underground, exposed to hydrocarbons and other corrosive fluids in an ambient operating temperature in excess of 180˚F. Despite having suffered several unintentional shut downs the Torque Drive system has been remotely restarted successfully every time. With integrated pressure and temperature monitoring the production operator has been able to set the pump speed so the well outflow is constantly tuned to the well inflow meaning that production is fully optimised to match the well optimum performance. The Torque Drive uses a magnetic gear designed exclusively for and developed collaboratively with ZiLift by magnetic gear pioneers Magnomatics who are based in Sheffield. The first Torque Drive product is based on a magnetic gear rated at 100Nm. These units can be used in pairs to achieve higher torques and further, larger diameter units are now in development. Magnetic gears are being developed for a number of other applications. A magnetic gear can be integrated with an electric motor to form what is known as a Pseudo Direct Drive or PDD. These PDDs are especially applicable to low speed high torque applications. A PDD is being evaluated by Triumph Aerospace for use as a fully electric aircraft control surface actuator. Here the compliance and overload protection of the magnetic gear and the low inertia of the output rotor improves the reliability of the actuator. This is critical if all electric actuators are to replace the traditional hydraulic actuators used on most aircraft today. This project is co-funded by Innovate UK the UK’s innovation agency. At the larger scale PDDs have already been built and tested with torques of over 16,000 Nm for marine applications. Magnomatics is currently designing a PDD with a torque rating of 220,000 Nm which will be built early next year for a 500kW wind turbine application. 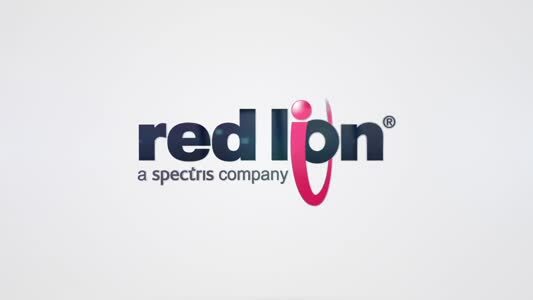 This project is co-funded by BEIS and is part of the Demo wind project funded by Europe Horizon 2020.